Bungalows located on a hill with gentle slopes, in a setting of exotic vegetation in the Bahía del Naranjo Nature Park. Private entrance. Separate building with terraces. Gourmet restaurants, exclusive Spa. With wonderful suites; Master Junior Suites, Sea View Master Junior Suites, Luxury Master Junior Suites and Garden Villas, as well as a personalised butler service capable of granting your every wish. 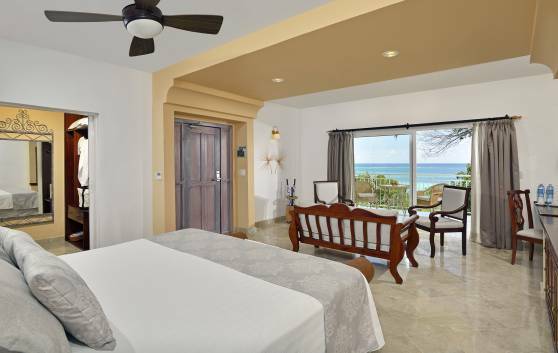 These 36 rooms located on the ground or upper floor are in complete harmony with the natural environment; offering security, space and comfort so that your stay will become a wonderful experience. 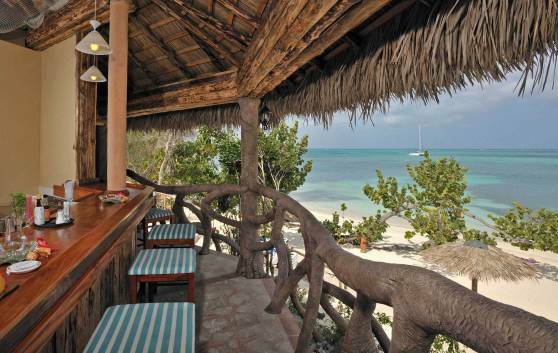 These 6 luxury Suites located in private bungalows on the ground floor (74 m²) are ideal accommodations. Comfortable with abundant natural lighting, spacious, and terrace or balcony overlooking a pleasant natural setting. 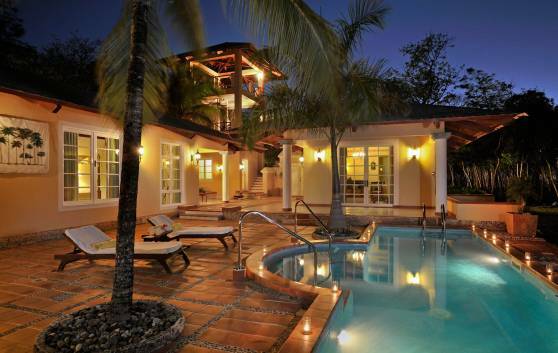 Guests will enjoy an unequaled stay in these 2 spectacular Garden Villas, separate structures covering an area of 370 m². 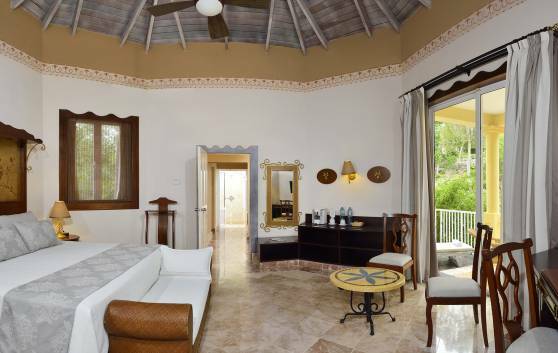 Comfortable, spacious and bright, the villas have been provided with a lovely Palapa located near the sea and the beach. Quality, excellence and a delicious selection of gastronomic options for a unique and enjoyable culinary experience to satisfy the demands of the most discerning palates. Book your restaurant in advance for any day of the week and enjoy the exquisite flavour of our food. Exclusively for Royal Service guests. This à la carte restaurant serves a refined and exquisite international menu, with air-conditioning and an outdoor area where guests can enjoy the cool sea breeze and natural exuberance of the environment. 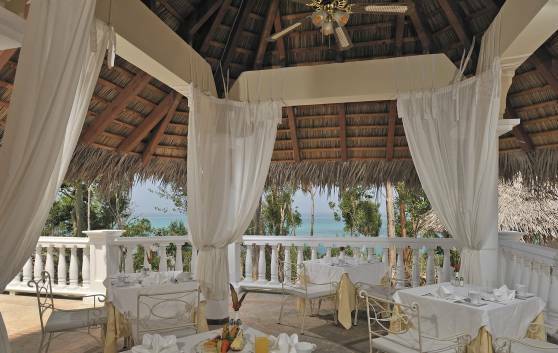 The restaurant offers a beautiful view of the Royal Service swimming pool and the sea. Between 10 AM and 5 PM, this bar offers options that will please your palate for tempering the hottest hours right next to the private beach of the Royal Service section. It features a beach concierge. Exclusive pool bar for Royal Service customers, located in the lobby lounge area. 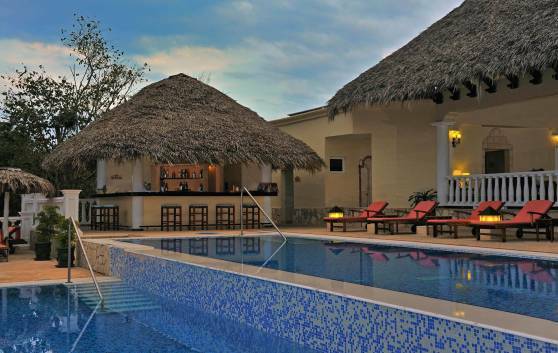 It offers refreshing drinks and top-notch cocktails at the bar or by way of the pool concierge while the pool is open. Lobby Bar exclusively for Royal Service guests. 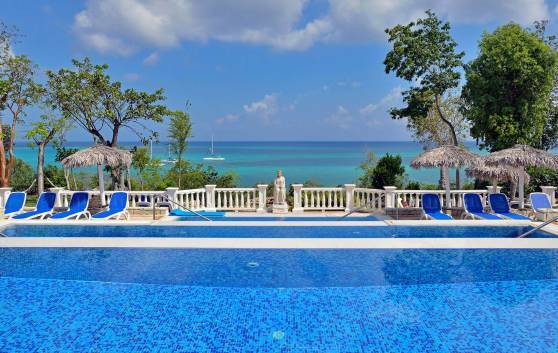 This outdoor bar offers a splendid view of the Royal Service swimming pool and the sea. It serves national and international drinks. Guests can also choose from an additional menu of Premium drinks ($). Aperitif service available all day long. Let your butler prepare a unique SPA experience, just for you. Bath salts, flowers, herbs and aromatic essences in a mystic atmosphere provided by dim candlelight and the incense of your choice. All the experiences included in our menu have been professionally designed to cleanse, soothe and nourish the mind, body and spirit in every emotional state. Immerse yourself in a completely different spa experience in the privacy of your suite, where you will enjoy a sublime atmosphere of tranquility, balance and total relaxation. A relaxing and therapeutic experience. Trust in the hands of professional therapists using the most appropriate techniques. Relax your mind and boost your energy levels. A pleasant sensation of wellbeing and relaxation. Soothing bath based on the antioxidant and anti-aging properties of wine therapy for enhancing your skin’s elasticity, vitality and youthful look. Marine and algae bath salts that restore the minerals and trace elements of the body. Helps to keep the body in shape. A deliciously, silky milk mousse bath, enriched with marine proteins and collagen that hydrates and nurtures the skin. Effervescent tablets for a pleasant and relaxing bath with relaxing natural essences such as chamomile, lavender, ylang-ylang and marjoram. A sapphire- blue bath to help the skin recover all its sensuality! The bath activate the nervous system through the skin or scent, stimulating cells and tissues with a quick local penetrating action that gradually extends throughout the body, modifying the physical and emotional state of mind of the person. Attentive butler service in the room 24/7. 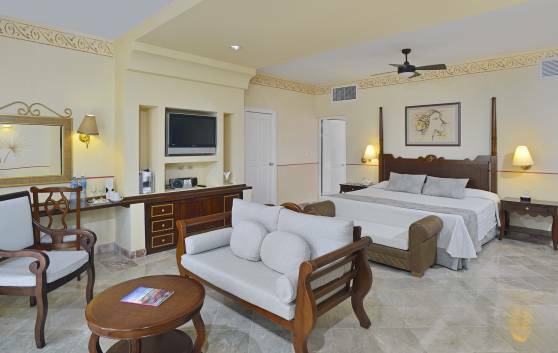 From unpacking and packing your luggage to taking breakfast orders for the next day, not to mention shoe polishing, bed turn-down service at night, assistance with outings and reservations at a la carte restaurants. Ask our online butler for the services that can be arranged prior to your arrival. 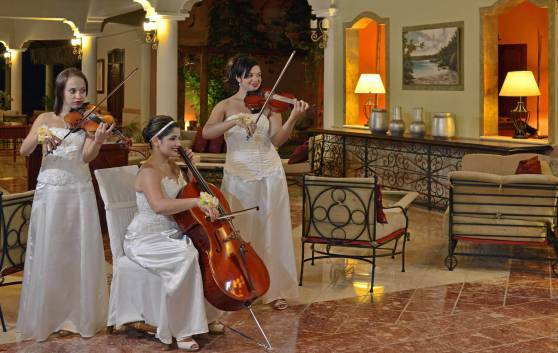 During your stay, our butler will remain attentive to your requests and preferences.